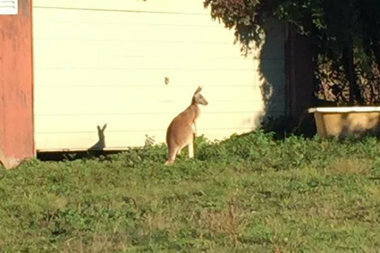 TRAVIS — A kangaroo escaped from a Staten Island yard and hopped around a parking lot on Saturday. The marsupial — reportedly named Buster — was caught in the parking lot of Alb's Auto Repair, at 1305 Travis Ave., around 8:30 a.m. and picked up 10 to 15 minutes later by his owner and police, said Urim Osmani, co-owner of the shop. "He looked like a deer at first," Osmani said. "You don't expect to see something like that. It was just running around like crazy." The exotic creature escaped from the same yard that a zebra bolted from in 2012. Osmani said he commonly sees deer in his lot, but when they realized it was a kangaroo he called the police. Security camera footage showed Buster's bid for freedom. He busted out of the yard of Giovanni Schirripa, two doors down on Victory Boulevard, after somebody left the gate unhatched, the New York Post reported. Police did not charge or ticket Schirripa because he said Buster was owned by his brother, who lives upstate, and was just visiting the city for the day, the Post reported. 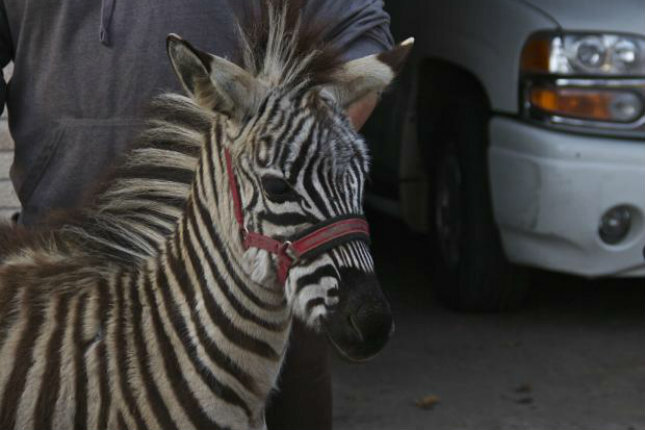 In 2012, a baby zebra named Razzi and his miniature pony friend Casper ran from Schirripa's yard as he cleaned their pen and trotted around Victory Boulevard before Schirripa coaxed them back with some hay. Schirripa previously told DNAinfo New York he paid $6,000 for Razzi with the hopes of starting a petting zoo, but he didn't get a license and was issued a violation from the Health Department for the animal, the Post reported. The Health Department did not respond to requests for comment. Schirripa did not want to comment Monday.